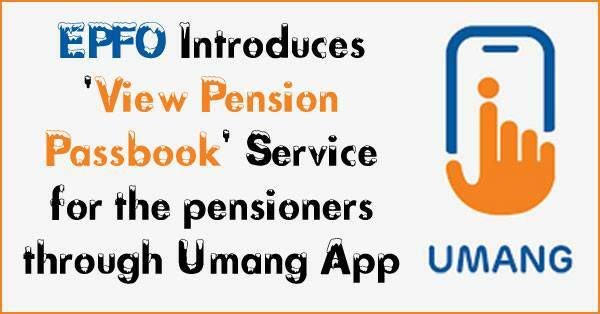 Employees Provident Fund Organisation (EPFO), which is providing a host of e-services for its stakeholders, has now introduced a new service through ‘UMANG app‘. On clicking ‘View Passbook‘ option, it requires PPO Number and Date of Birth information to be entered by the pensioner. After successful validation of the information fed, an OTP will be sent to the registered mobile number of the pensioner. On entering OTP, ‘Pensioner Passbook‘ will display the details of the pensioner like Name, DOB along with last pension credited information. The facility to download the financial year wise complete pass book details is also available.